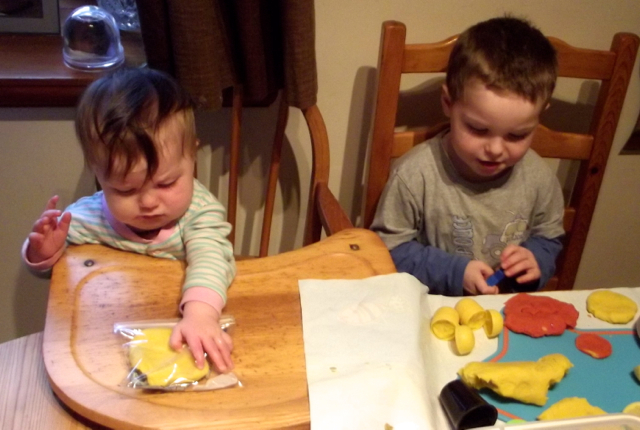 We're really getting into Christmas crafts and activities now. 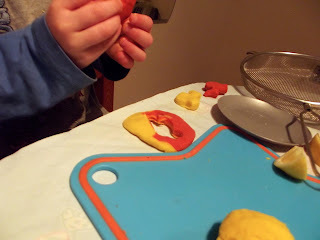 I have lots of christmas playdough ideas up my sleeve and this is the first one we tried a couple of days ago. 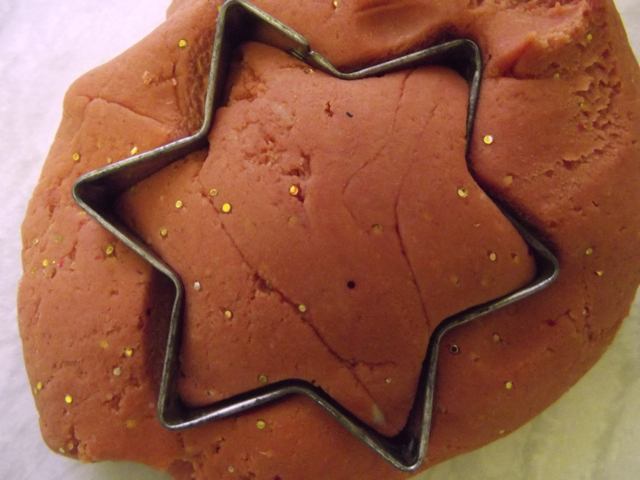 Yummy festive cinnamon sparkle playdough. 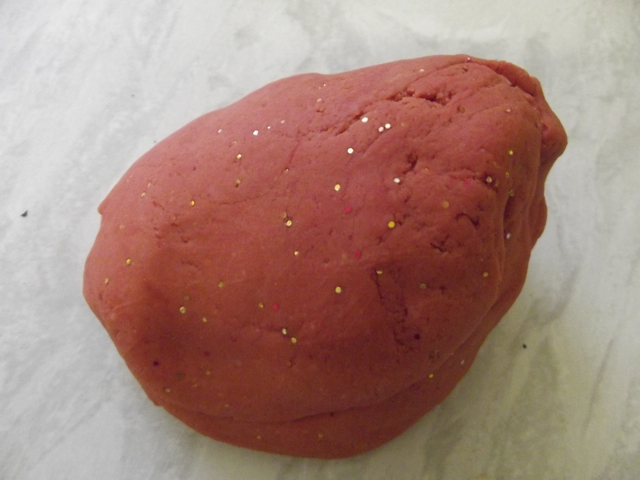 I used our normal no-cook playdough recipe, which I modified from here. 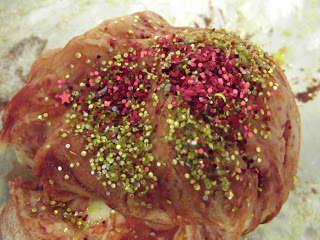 and added red food colouring, gold and red glitter, and lots of cinnamon. 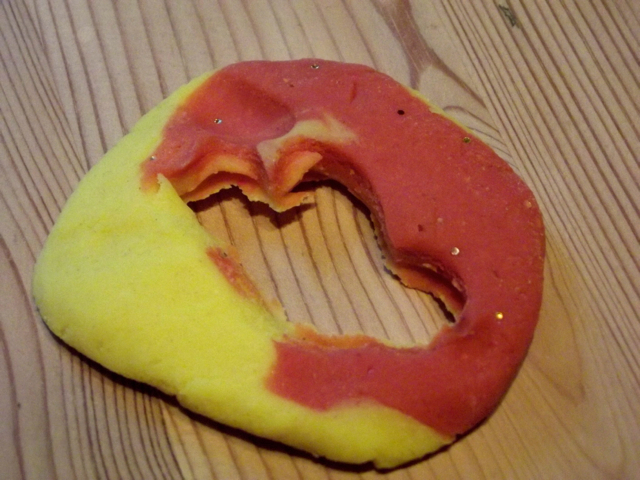 I offered up some christmas cookie cutters with the playdough, as well as the normal box of tools. 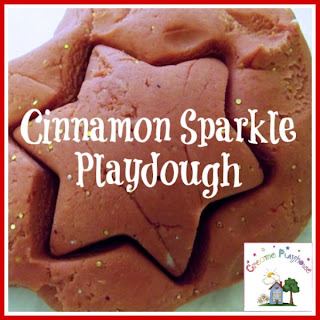 A handy tip - store this in a sealed container with a cinnamon stick to retain the lovely seasonal scent. 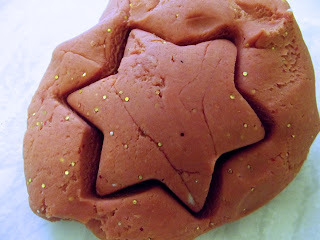 Your blog is adorable & I love this playdough! 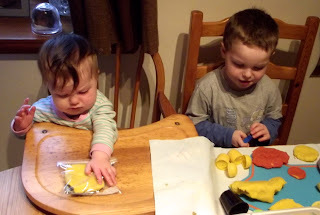 I started a new saturday linky called Share It Saturday and would love to have you come by and share your ideas there each week.